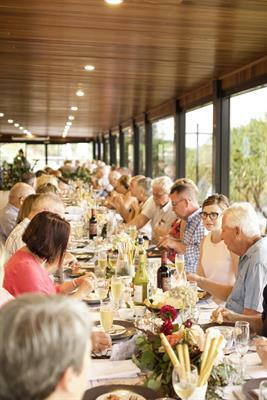 Foodies and wine lovers, Mets on Kings – The Caloundra Surf Club is holding an occasion not to be missed! 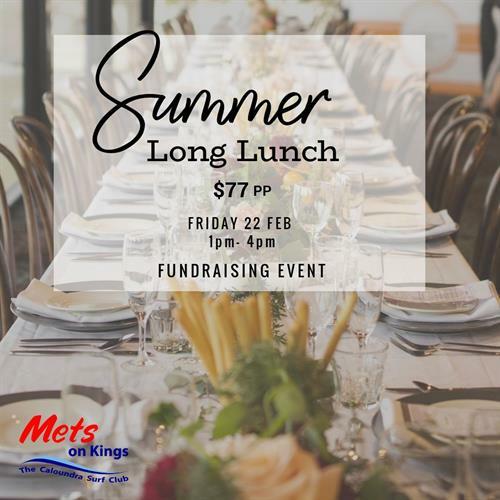 Our Summer Long Lunch is a fundraising event to raise fund for the Metropolitan Caloundra SLSC while enjoying delicious foods and wines with great company. Indulge in an afternoon of delicious shared courses and equisite wines presented by Swings and Roundabouts, a proud Australian wine maker from the northern Margaret River wine region. All proceeds from this event support the Metropolitan Caloundra SLSC patrolling Kings Beach. At $77 dollars a ticket, be indulged with a 4 course menu paired with wines and a seat overlooking the spectacular Kings Beach. We will also be holding a silent auction with the opportunity to bid for some amazing prizes. 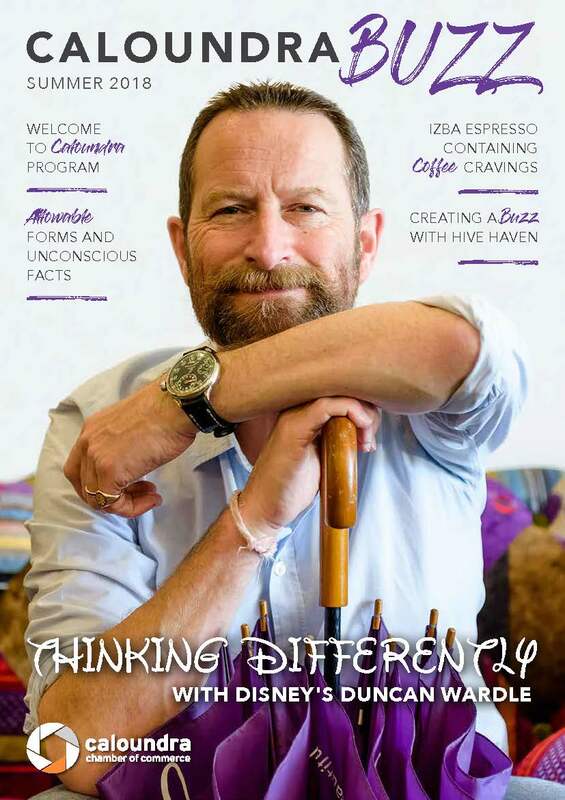 Limited seating – Book Now! Where: Mets on Kings - The Caloundra Surf Club.